The first independent tobacco research institute in Hungary’s tobacco research was The Tobacco Growing Experimental Station, which was established in Debrecen-Pallagpuszta in 1897. It started to conduct agricultural and curing experiments, tobacco breeding and organized tobacco seed production. Its research work was continued from 1939 by National Tobacco Production Research Institute. After the II. World War the institue was reorganized with new additional tasks as Tobacco Research Institue. The institute was privatized in 1994 and operated under the name of Tobacco Research and Quality Development Insitute (DOKUT RT.). During the more than hundred year’s history of tobacco research in Hungary breeding and examination of new varieties got priority. This work had been done until 2005 by the research institute. 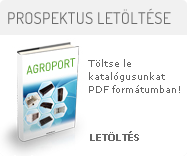 Since 2005 AGROPORT-D Ltd. has been continuing this work on the basis of research results and experiences of the previous century. The main tasks of AGROPORT-D Ltd. are breeding (burley and flue-cured), selecting varieties, research on agricultural practices in accordance with the requirements of new varieties, seed production – processing, sale, marketing and other innovative activities.